5 students of Sri Lanka's South Asian Institute of Technology and Medicine(SAITM Campus) have filed a petition in the Supreme Court requesting to grant them the opportunity to be trained in government hospitals. The private university had no teaching hospital at its inception and later came into an agreement with the provincial health authorities to provide the clinical training to the medical students. However, the health authorities have rejected to provide clinical training for the medical students of the private university. The students petitioned the Supreme Court urging to issue an order to the relevant authorities to grant them opportunity to be trained in government hospitals. Sri Lanka's Government Medical Officers' Association, student unions and the ultra-left political parties protest the private medical college. They argue that the Institute was incapable of offering medical degrees since it is not a recognized university due to low standards. 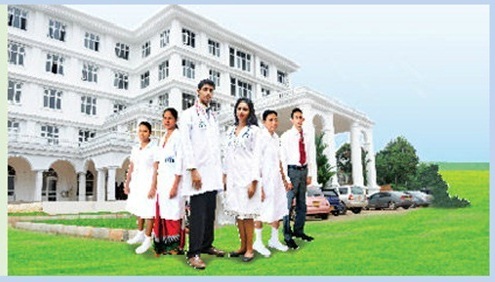 South Asian Institute of Medicine is a private medical college located in Colombo district. Sri Lanka Medical Council has not endorsed it although the Minister of Higher Education S.B. Dissanayaka supports it.